CEDAR FALLS — Sixth-ranked Cedar Falls buried 11 shots from 3-point range and knocked off No. 12 Cedar Rapids Washington 78-60 in a Mississippi Valley Conference makeup game Saturday afternoon. Emerson Green hit three treys while Sarah Albaugh, Anaya Barney, McKenna Gleason and Lexie Godfrey added two apiece for the Tigers (18-1, 12-1), who were 11 of 24 for the game. Green finished with 27 points, Gleason had 14, Anaya Barney added 13 and Akacia Brown chipped in 11. Cedar Falls bolted to a 19-9 first-quarter lead and increased it to 42-27 by halftime. The Tigers held the Warriors (15-4, 11-3) to just 30 percent shooting from the field, but Washington was 23 of 27 from the free throw line, all by Sammy Mia and Hannah Stuelke. WATERLOO WEST 68, CEDAR RAPIDS JEFFERSON 36: Waterloo West finished the week with its second win in a row, topping Cedar Rapids Jefferson 68-36 Saturday. The Wahawks jumped out to a 22-7 lead in the opening period. NaTracia Ceaser and Lauren Conrey shared scoring honors with 14 points each. West (12-7, 8-6) made 10 3-point shots, four by Conrey. NEW HAMPTON 71, COLUMBUS 47: New Hampton steadily pulled away from Waterloo Columbus in a Class 3A regional first-round matchup Saturday. The Chickasaws (11-8), who won a close game over the Sailors (2-19) earlier this season, led 13-10 after one quarter Saturday. It was 32-22 at halftime and 56-37 after three quarters. Maddi Moorman had 16 points, Alexa Wemark 15, Paige Wisner 13 and Lauren Frerichs 12 for New Hampton. Frerichs also had nine assists. The Chickasaws advanced to face the Crestwood-Union winner Wednesday in Cresco. LINN-MAR 65, CEDAR FALLS 62, OT: Linn-Mar upset sixth-ranked Cedar Falls in overtime Saturday in Mississippi Valley Conference makeup action. Linn-Mar (12-5, 10-4) led just 32-30 at halftime, but widened the gap to 49-41 after three quarters before the Tigers (14-3, 11-3) charged back. The Lions were 21 of 26 from the free throw line compared to Cedar Falls’ 8 of 11. Logan Wolf tallied 17 points to lead Cedar Falls and Chase Courbat added 15. CEDAR RAPIDS WASHINGTON (15-4, 11-3) — Caitlin Riley 3 0-0 8, Sydney Engledow 1 0-0 3, Aeri Thomas 0 0-0 0, Marek McBride 0 0-0 0, Isa Truemper 0 0-0 0, Sami Squires 0 0-0 0, Sammy Mia 2 13-14 17, Hannah Stuelke 9 10-13 30, Deja Redmond 0 0-0 0, Sydney Mitvalsky 1 0-0 2. Totals 16 23-27 60. CEDAR FALLS (18-1, 12-1) — Sarah Albaugh 2 0-0 6, Anaya Barney 3 5-6 13, Emerson Green 10 4-5 27, Morgan Sterrett 0 0-0 0, Tjaden Petersen 0 0-0 0, Skylar Boerhave 0 0-0 0, McKenna Gleason 5 2-3 14, Lexie Godfrey 2 1-2 7, Madison Hurley 0 0-0 0, Akacia Brown 4 3-4 11, Emmey Sherbon 0 0-0 0. Totals 26 15-20 78. 3-point goals — C.R. Washington 5 (Riley 2, Stuelke 2, Engledow 1), Cedar Falls 11 (Albaugh 2, Barney 2, Green 3, Gleason 2, Godfrey 2). Total fouls — C.R. Washington 16, Cedar Falls 16. Fouled out — none. CEDAR RAPIDS JEFFERSON (1-17, 0-12) — Aliyah Walker 0 0-0 0, Hannah Hoeger 0 0-0 0, Kalyn Wise 5 4-4 14, Jenna Griffith 2 2-2 8, Lara Van den Bosch 0 0-0 0, Infinity Watkins 0 0-0 0, Grace Jellison 2 6-15 12, Jada. Pratt 1 0-0 2, Bianca Phillips 0 0-0 0. Totals 10 12-23 36. WATERLOO WEST (12-7, 8-6) — NaTracia Ceaser 5 2-2 14, Ajla Dzelic 0 0-0 0, Jaide Domatob 1 1-1 3, Stacey De La Cruz 1 0-0 2, Gabby Moore 3 0-2 6, Ashley Nystrom 1 0-0 3, Lauren Conrey 5 0-0 14, Meredith Eighmey 0 3-8 3, Jada Draine 4 0-0 11, Brooklynn Smith 5 2-6 12. Totals 25 8-20 68. CEDAR FALLS (14-3, 11-3) — Josh Ollendieck 2 0-0 5, Logan Wolf 6 4-6 17, Jaxon Heth 0 0-0 0, Mason Abbas 3 0-0 7, Ben Sernett 1 0-0 2, Jackson Frericks 5 0-0 11, Cael Loecher 0 0-0 0, Jack Campbell 2 1-2 5, Chase Courbat 6 3-3 15. Totals 25 8-11 62. LINN-MAR (12-5, 10-4) — Will Zahradnik 1 0-1 2, Brady Klahn 3 0-0 7, Jaren Nelson 3 0-0 7, Greg Hall 2 0-0 5, Trey Hutcheson 5 13-14 23, John Steffen 3 5-7 12, Hayden Passmore 3 3-4 9, Cam Nelson 0 0-0 0. Totals 20 21-26 65. 3-point goals — Cedar Falls 4 (Ollendieck 1, Wolf 1, Abbas 1, Frericks 1), Linn-Mar 5 (Klahn 2, J. Nelson 1, Hall 1, Steffen 1). Total fouls — Cedar Falls 21, Linn-Mar 13. Fouled out — Campbell. CEDAR RAPIDS WASHINGTON (15-4, 11-3) -- Caitlin Riley 3 0-0 8, Sydney Engledow 1 0-0 3, Aeri Thomas 0 0-0 0, Marek McBride 0 0-0 0, Isa Truemper 0 0-0 0, Sami Squires 0 0-0 0, Sammy Mia 2 13-14 17, Hannah Stuelke 9 10-13 30, Deja Redmond 0 0-0 0, Sydney Mitvalsky 1 0-0 2. Totals 16 23-27 60. 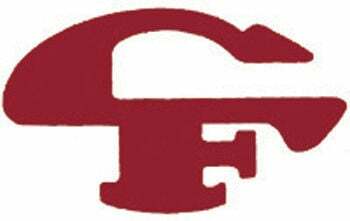 CEDAR FALLS (18-1, 12-1) -- Sarah Albaugh 2 0-0 6, Anaya Barney 3 5-6 13, Emerson Green 10 4-5 27, Morgan Sterrett 0 0-0 0, Tjaden Petersen 0 0-0 0, Skylar Boerhave 0 0-0 0, McKenna Gleason 5 2-3 14, Lexie Godfrey 2 1-2 7, Madison Hurley 0 0-0 0, Akacia Brown 4 3-4 11, Emmey Sherbon 0 0-0 0. Totals 26 15-20 78. 3-point goals -- C.R. Washington 5 (Riley 2, Stuelke 2, Engledow 1), Cedar Falls 11 (Albaugh 2, Barney 2, Green 3, Gleason 2, Godfrey 2). Total fouls -- C.R. Washington 16, Cedar Falls 16. Fouled out -- none. CEDAR RAPIDS JEFFERSON (1-17, 0-12) -- Aliyah Walker 0 0-0 0, Hannah Hoeger 0 0-0 0, Kalyn Wise 5 4-4 14, Jenna Griffith 2 2-2 8, Lara Van den Bosch 0 0-0 0, Infinity Watkins 0 0-0 0, Grace Jellison 2 6-15 12, Jada. Pratt 1 0-0 2, Bianca Phillips 0 0-0 0. Totals 10 12-23 36. 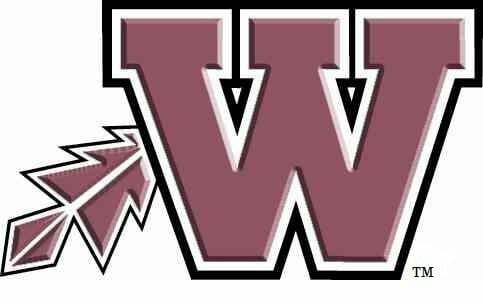 WATERLOO WEST (12-7, 8-6) -- NaTracia Ceaser 5 2-2 14, Ajla Dzelic 0 0-0 0, Jaide Domatob 1 1-1 3, Stacey De La Cruz 1 0-0 2, Gabby Moore 3 0-2 6, Ashley Nystrom 1 0-0 3, Lauren Conrey 5 0-0 14, Meredith Eighmey 0 3-8 3, Jada Draine 4 0-0 11, Brooklynn Smith 5 2-6 12. Totals 25 8-20 68. CEDAR FALLS (14-3, 11-3) -- Josh Ollendieck 2 0-0 5, Logan Wolf 6 4-6 17, Jaxon Heth 0 0-0 0, Mason Abbas 3 0-0 7, Ben Sernett 1 0-0 2, Jackson Frericks 5 0-0 11, Cael Loecher 0 0-0 0, Jack Campbell 2 1-2 5, Chase Courbat 6 3-3 15. Totals 25 8-11 62. LINN-MAR (12-5, 10-4) -- Will Zahradnik 1 0-1 2, Brady Klahn 3 0-0 7, Jaren Nelson 3 0-0 7, Greg Hall 2 0-0 5, Trey Hutcheson 5 13-14 23, John Steffen 3 5-7 12, Hayden Passmore 3 3-4 9, Cam Nelson 0 0-0 0. Totals 20 21-26 65. 3-point goals -- Cedar Falls 4 (Ollendieck 1, Wolf 1, Abbas 1, Frericks 1), Linn-Mar 5 (Klahn 2, J. Nelson 1, Hall 1, Steffen 1). Total fouls -- Cedar Falls 21, Linn-Mar 13. Fouled out -- Campbell.